Location. 47° 30.691′ N, 67° 23.495′ W. Marker is in Saint-Quentin, New Brunswick, in Restigouche County. Marker is on rue Deschênes just east of rue Canada (New Brunswick Route 17), on the left when traveling east. Touch for map. Marker is on the Bibliothèque Publique La Moisson (Saint-Quentin) grounds. 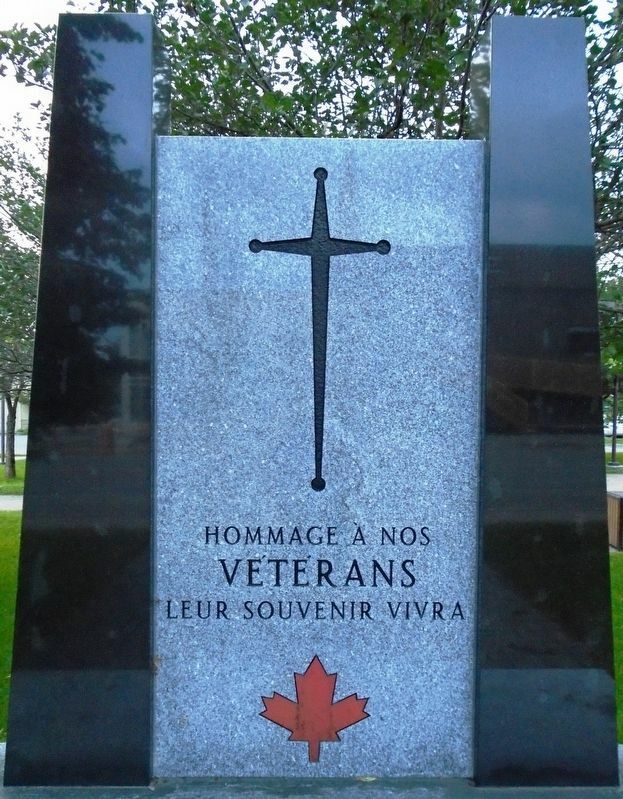 Marker is at or near this postal address: 206 rue Canada, Saint-Quentin, New Brunswick E8A 1H1, Canada. Touch for directions. Other nearby markers. At least 5 other markers are within 16 kilometers of this marker, measured as the crow flies. Saint-Quentin Hommage militaire / Military Tribute (a few steps from this marker); Le monument aux fondateurs / The Founders Monument (within shouting distance of this marker); La croix et le coq du clocher / The Steeple Cross and Rooster Vane (within shouting distance of this marker); M114 155mm Howitzer (approx. 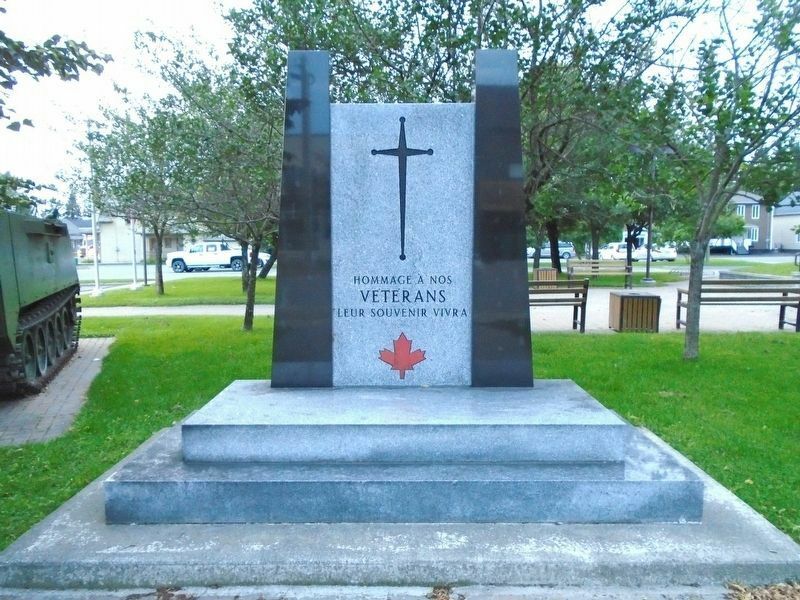 15.2 kilometers away); a different marker also named Veterans Memorial (approx. 15.2 kilometers away). Credits. This page was last revised on October 28, 2018. This page originally submitted on October 27, 2018, by William Fischer, Jr. of Scranton, Pennsylvania. This page has been viewed 36 times since then and 4 times this year. Photos: 1, 2. submitted on October 27, 2018, by William Fischer, Jr. of Scranton, Pennsylvania.